Our X-cart Pro/Platinum Product Approval Modification allows you full control over all provider's products. 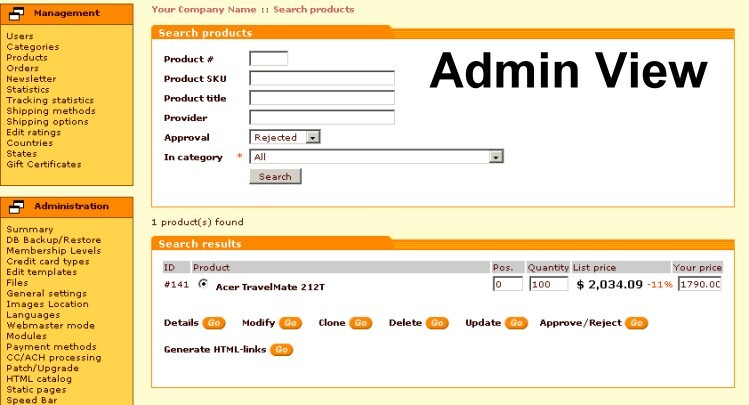 Search products based on Pending, Approved, Rejected or All status. Preview products as they would appear on customer side. Approve or Reject products with a comments section to let the provider know any comments you have. Email sent to provider when product is approved or rejected with comments included. Direct link for Admin to modify product him/herself. 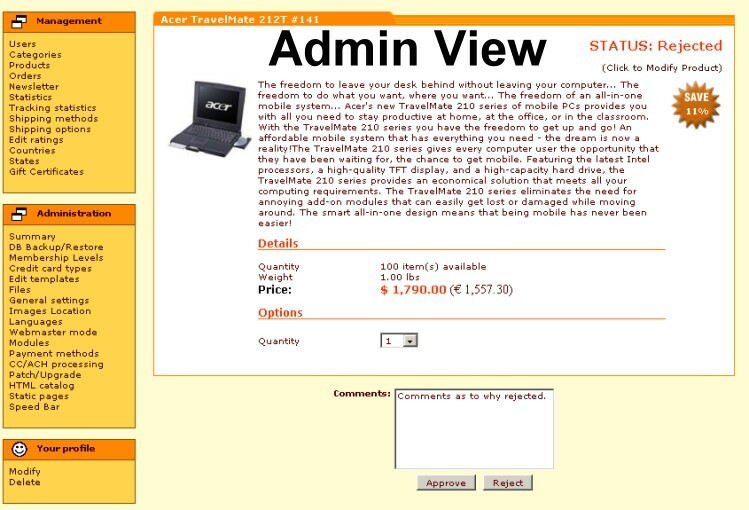 View Admin comments with ability to resubmit product for approval. Price includes installation! * Please allow 1-3 weeks for installation. We will need a temporary admin account and ftp access. We will be in contact with you for these details. *Price includes 1 hour of installation time on an unmodified X-cart Pro/Platinum install. If your X-cart pro store has been modified, then installation may take longer (but not likely). If installation takes longer than an hour on a modified X-cart Pro install, then we will need to charge hourly in 1/2 hour increments. Feel free to contact us with any questions! This module is install by us only.